Organizing a reception from A to Z isn’t always easy and can end up turning into a real puzzle for some people. This is why La Distinction is your ideal reception host. In addition to offering you a wide-ranging menu that will easily adapt to your type of event, we offer a complete, supportive planning service. So that nothing is ever left to chance, our planners will speak with you and help you decide on a menu and on any other need. 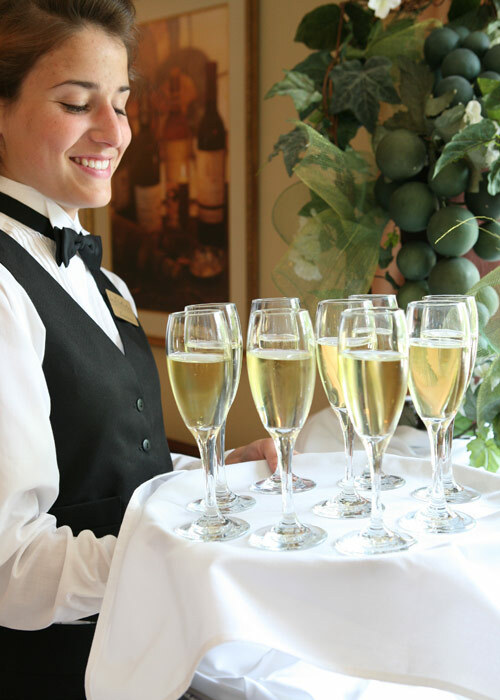 Whether for a birthday party or a wedding anniversary, a retirement party, a post-funeral reception, a baptism, a Christmas party, a formal ball, a gathering of family or friends, our experienced team will know exactly how to help you put together a successful event. No matter what your budget is, where your event is taking place or the number of participants, we know how to meet your expectations so your vision can come true. Our reception halls as well as our countryside location are at your disposal, but our personnel can also travel to serve you or to deliver to your choice of location so you can have everything you need to make your event a success. We can also direct you to our trusted providers so they can help you, particularly with decorations, flowers, cake, music and entertainment (DJ), photography as well as any other service you might have in mind.